Control rooms through which security is managed and monitored, either from a zone or facility, have some particular features. Their uninterrupted work and the large amount of data generated make them some very particular projects. 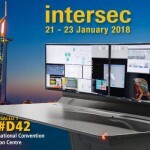 NOCs or Network Operation Centres are responsible for guaranteeing the availability of platforms, as well as the security of infrastructure and services. 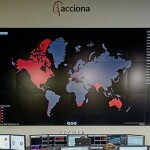 SOCs or Security Operation Centres are responsible for maintaining the security of data at the organisation. 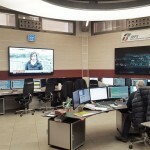 These control centres are found at both public and private institutions and one of their requirements is that their operativity is 24/7, in other words, their activity is continuous 24 hours a day, seven weeks a week, 365 days a year. Usually, operators work three shifts to cover activity at centres. In the face of such specific circumstances, the design of projects for NOCs and SOCs has some very high requirements. In the first part of the work, when we start organising the spaces, we need to think of the room’s continuous activity and purpose. 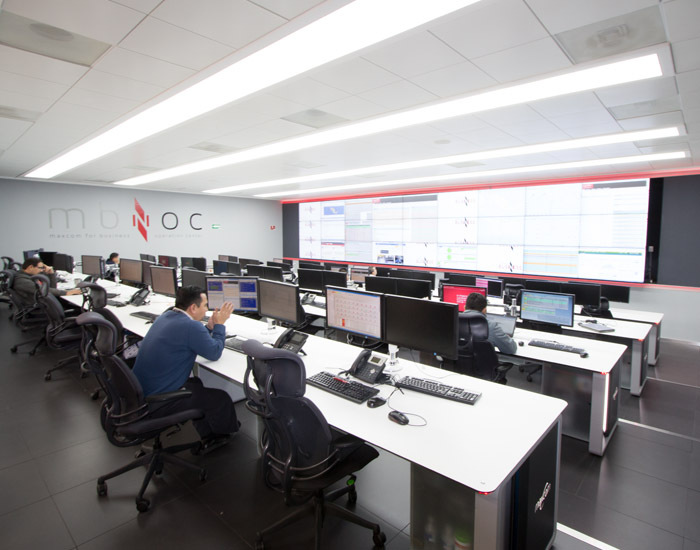 Therefore, a large amount of data from a multitude of equipment and systems is managed from this control centre, so the proper management of the cabling and infrastructures will be something to really bear in mind. For instance, it may be necessary to use the technical ceiling or floor to store cabling. At the end of the day, the aim is to facilitate the room’s operativity. Monitors and audio visual equipment in general must meet the highest quality standards, and when the video wall is chosen, we should exceed LCD technology with fewer years of life for a performance as high as the one required by these projects. 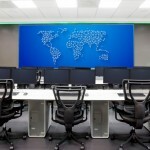 For 24/7 environments, cube audio visual solutions are ideal by achieving great brightness quality, and sharper and more authentic colours, as well as minimizing the operator’s visual fatigue. 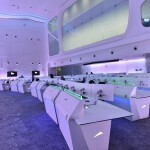 And a concept that must be present in all the elements of these control centres is ergonomics. 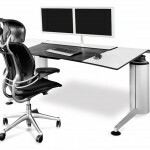 Technical furniture: consoles and chairs must be adapted to the operators, and the best conditions must be guaranteed so they can do their job safely. Lighting, temperature and environmental conditions fall within the parameters that GESAB’s team of engineers and architects assess before any control room project. NOCs and SOCs are critical work environments that need to have a design and components that are capable of meet the highest needs. 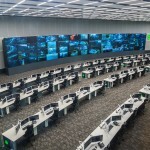 One of the best examples of these kinds of projects is The Mecca Command and Control Centre in Saudi Arabia, from which the security of the city and most important pilgrimage centre in the Muslim world is managed. 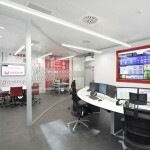 An extremely important project with 548 posts and a video wall of 80 cubes, and an example of balance among functionality and design in a control centre.